Dirty Dangle Hockey: Where Will James van Riemsdyk Get Traded To? Where Will James van Riemsdyk Get Traded To? 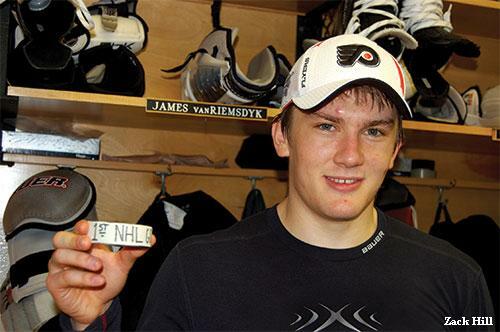 On Tuesday the Philadelphia Flyers signed 2007 2nd overall pick, James van Riemsdyk, to a 6 year contract extension worth 25.5M that will kick in for the 2012-13 season. He is currently on the last year of his entry level contract. JVR's extension will cost the team $4.25M a season, which is a solid number if he continues to grow from his strong performance in the 2011 playoffs where he potted 7 goals in 11 games. He is only 22 and should be a definite 30 goal scorer in the near future. But why only 6 years? Did the Flyers learn something with Mike Richards and Jeff Carter about not locking up their future stars for 11 and 12 year deals? Or did the JVR camp not want to go that long term with the way they have seen the Flyers treat their own? Regardless, the success of the deal will depend on the play of van Reimsdyk. The Flyers shocked the hockey world this summer by trading away two of their top young talents who had long term deals. It's the end of August so let's have some fun with this: If things go sour between the Flyers and JVR, where will he land? The Ilya Bryzgalov experiment doesn’t work out well. After getting shelled in the first round of the playoffs the Flyers look elsewhere for a top goalie. The Dallas Stars were going to offer Jamie Benn and Kari Lehtonen, but the Flyers insisted that Steve Ott had to be in the deal. After one season with Jaromir Jagr on the Flyers, the team has started to gamble a lot more and decided to ban all card playing on team flights and casino nights when the team is on the road. All the players sign their numbers on the wall to commit to the ban... except JVR. He is in too deep and has become one of the top poker players in the world. The Flyers have wanted Iggy forever. 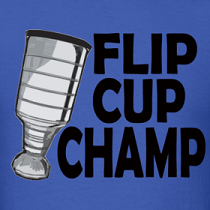 It seems like the short time JVR was around Mike Richards and Jeff Carter has rubbed off. JVR becomes obsessed with partying with college kids and also starts buying up all the Strip Clubs in the Philadelphia area. Luke Schenn is brought in to take care of younger brother Brayden in hopes of ending this vicious partying cycle while JVR becomes the 16th American player on the Maple Leafs roster. Will Luke Schenn be signed by the Leafs before the Summer of 2014? At least Luke Schenn is decent value for JVR; a good one-for-one swap. The Lehtonen/Ott offer is disgustingly bad. Whether or not Bryz struggles in his first year is almost a null factor when it comes to the future of the goaltending in Philadelphia. Why? Because he’s signed until he’s 40 and no one is going to touch that contract. Plus, Ilya is better than Kari in almost all aspects of the game (although, Lehtonen’s puck control is pretty impressive). As for Calgary, that team is a crapshoot in which anything is possible over the next few years. If they do decide to blow it up sooner or later, JVR is a damn fine return for an ‘almost twilight years’ Iginla. I think the Beach Boys might have some salary cap space to make a trade for him. While you are at it, try and sign McCabe too! Could be a killer team if you guys play your cards right. Nick, you do realizee these guys are doing this with a sense of humor right? Lol. Time will tell if the Flyers are better off after all their roster changes. I like JVR but he shouldn't be making that much money just yet. so wy would they trade all 3 for 1 guy ?